Michael J. Schreifels, age 69 of Albertville, passed away on Monday, November 26, 2018. He was preceded in death by his parents, Joseph and Dorothy Schreifels. 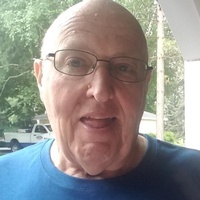 Michael is survived by his wife of 43 years, Jean; children, Carrie (Gene) South, Pat Schreifels; grandchildren, Zach (Rachael), Zarra, Zarae (Micah), Triston, Zeth, Hunter; siblings, Kathie (Daryl) Johannes, Ron Schreifels, Lori (Wally) Mohs and many nieces, nephews and other relatives and friends. A Memorial Gathering will take place 3:00pm- 5:00pm on Monday, December 3, 2018 at Peterson-Grimsmo Funeral Chapel.